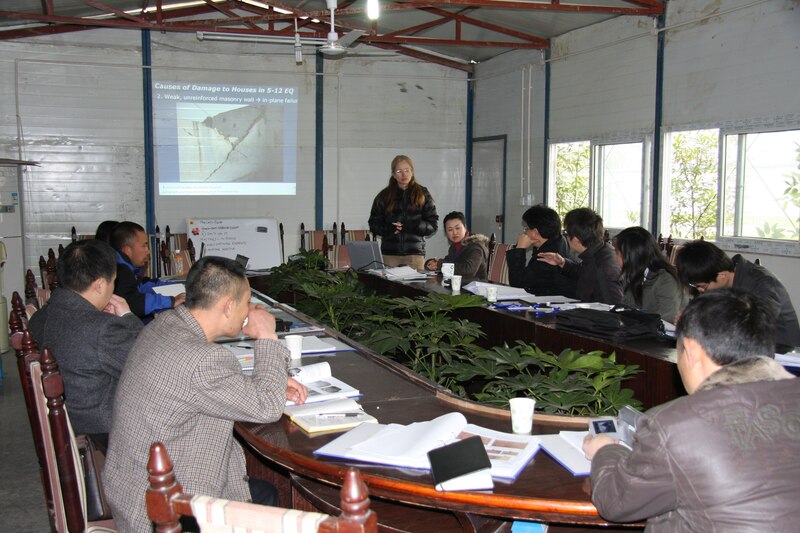 On Friday, February 20, 2009, Build Change held a training in Luorong, a village in Sichuan China which was devastated by an earthquake. 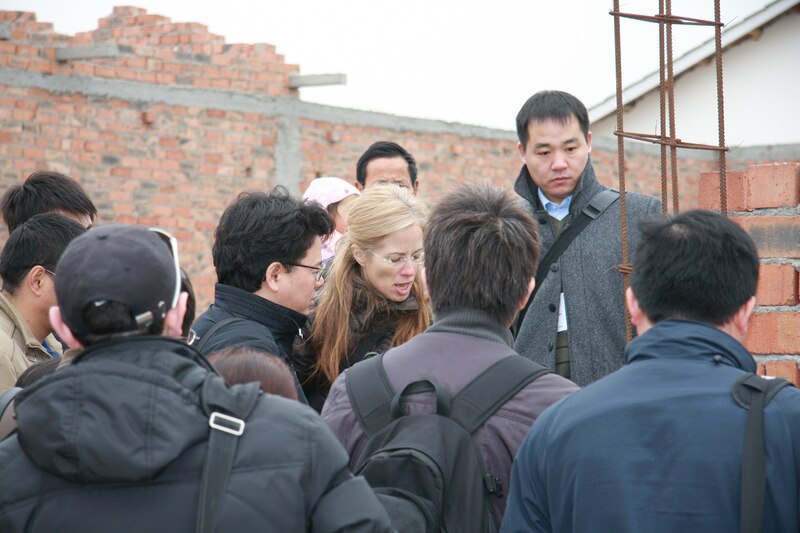 Despite the cold, forty-two people participated in the two-hour training led by Build Change construction trainer Chen Ting. The training topics included the basics of good housing construction, as well as how to sign a good contract with a contractor. Villagers were also interviewed to determine if they wanted assistance from Build Change, and if so, of what variety. Two women, both married to men surnamed Du, are residents of Lourong. They live in a structure cobbled together from concrete blocks and corrugated asbestos sheets. An industrial tent has been erected next to the property. They rushed to ask for Build Change’s assistance in preparing layouts. Our engineer, Yang Tianjun, spoke to each woman in turn, going through a checklist that Build Change has developed, called the Homeowner Preferences Survey. How many people will be living inside the house? Do you want your toilet inside the house or out back? What kind of materials do you prefer to use for the roof? When the homeowners see that the features they value will be included, they become more receptive to the aspects of the design that make the house more earthquake-resistant. A well laid-out house, one with symmetrical walls and sufficiently spaced doors and windows, is more resistant to earthquakes. The layout also allows Build Change to assist homeowners in estimating the cost of the house efficiently and accurately. Build Change’s layouts help homeowners ensure that they apportion their money so as to be able to afford the earthquake-resistant design aspects. After taking the survey, and later receiving layouts for their home which meet their requests and are earthquake-resistant, these women are more likely to rebuild a house that is safe.